Save the Date for the BIGGEST thing you can do in the battle against breast cancer. 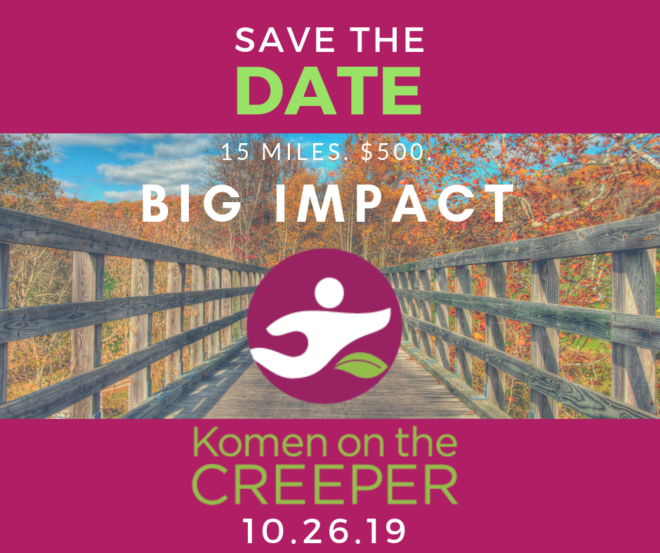 Komen on the Creeper is a 15-mile walk in Abingdon, Virginia to raise money for local breast health services and innovative breast cancer research. Walkers must raise at least $500 to participate. Check back soon for information on when registration opens. ⇐ Registration is OPEN for 10th Annual Race for the Cure – May 4, 2019!